Committed to the future of transport within the horticultural industry. 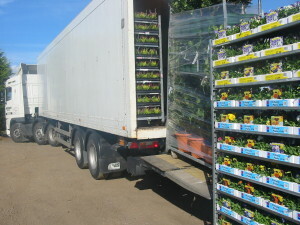 We deliver to over 3000 UK outlets and this is growing every week, our mission statement is to be the best in our field, offering an unrivaled service to the horticultural Industry. As an independent transport company we offer the same high level of service to all our customers big or small. We appreciate and understand the importance of your product being delivered when its required, and for it to arrive in peak condition. After all you have put all you effort into producing and marketing a top quality product. We like to think we act as an extension of your company, acting as an ambassador installing confidence with your customers. All orders placed with us on a Monday are guaranteed for delivery anywhere in the UK by Friday of the same week. 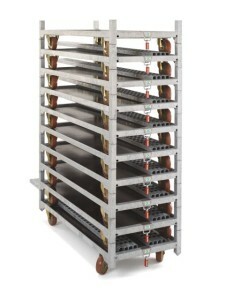 We have a central database allowing our customers to input their own delivery information. This increases efficiency within offices, and means that we have the correct information regarding your customers orders. Once orders are on our system our team plan and agree a collection & delivery schedule ensuring their maximum output for the week is achieved. Routes and delivery times are confirmed and this info is given to our customers, who in turn inform their customers of the delivery dates and times. We are introducing web based tracking so our customers can be kept up to date with their delivery status, this in turn will enable them to offer a high level of service to their customers. 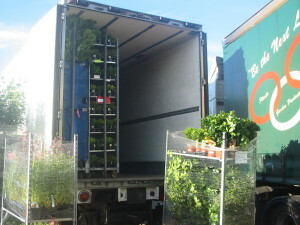 Andersons Transport specialise and offer a very reliable danish trolley delivery service throughout the UK to garden centres and nurseries all year round, using our tail-lift and temperature controlled trailers we make sure you’re plants are delivered safely.